Funny Witch Tees Just $12.99! Down From $30! You are here: Home / Instagram / Funny Witch Tees Just $12.99! Down From $30! For limited time only! 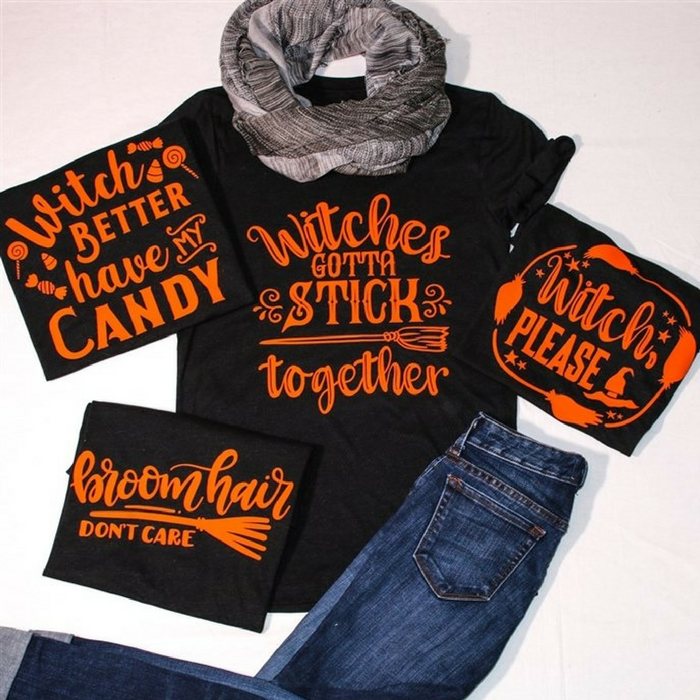 Hurry over to Jane to score these Funny Witch Tees for just $12.99 down from $29.99! Shipping is $3.99 for the first item and $0.99 for each additional item! Funny Witch tees are AWESOME for Halloween! Fun designs on a heather black tee and with an orange print will look great with a pair of black leggings or trendy ripped jeans. Pair with some cute new booties be you are set for that spooky Halloween party! Shirts are soft and high quality. Print is professional screen print.